CharleyHarper.com was initially launched by Cincinnati-based framing and art print specialist Fabulous Frames & Art, the world’s largest dealer of Mr. Harper’s art prints and products. While Charley Harper (1924-2007) lived and worked in Cincinnati for much of his life, his work is now recognized internationally, having pioneered the use of modernistic geometric forms and saturated colors in wildlife art. The revamped eCommerce store offers licensed products, gifts, jewelry, in addition to showcasing high-quality prints and posters. Videos on the website demonstrate various printing methods that provide a wealth of information reinforcing the level of craftsmanship that goes into making the reproductions available in the online store. InteractOne was challenged with revamping the CharleyHarper.com website by incorporating best practices for eCommerce while preserving the Harper-inspired design sensibility that the original website maintained. CharleyHarper.com has a product that is well-known around the world but needed a new website that better showcased the art to increase traffic and conversions. To meet the requirements set up beforehand in our Solution Design Document, the InteractOne development team built the site on the Magento platform, customizing it to provide a unique design and shopping experience. The team added improved, rotating gallery images that enhanced the art’s presentation and helped increase conversion rates. The new flexible item attributes and improved search functionality gives customers an easier ability to find items specifically by artist, subject, or medium—helping encourage add-on sales. Additionally, the user-friendly Magento Customer Management System enabled the Charley Harper team to update content and manage their product inventory easily and in-house. InteractOne successfully integrated the client’s design with Magento functionality to reflect the Charley Harper style. Since launching the new website, CharleyHarper.com has consistently achieved a page-one rank for targeted keywords. 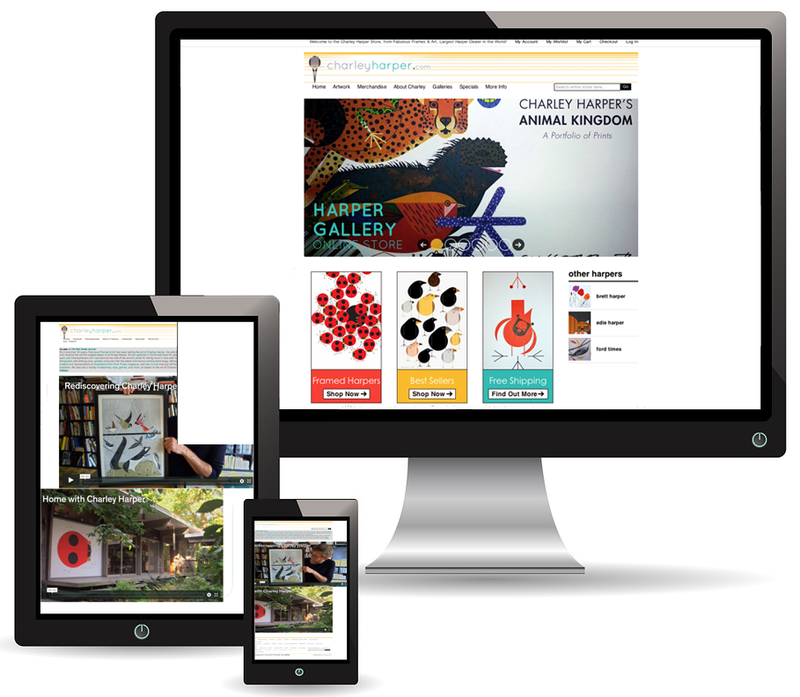 The website’s new functionalities also enabled the Charley Harper team to set up custom promotions, free shipping opportunities, and best-seller descriptions. InteractOne completed the project both on time and on budget. Interested in learning more about how InteractOne can help create a new, custom Magento site for your eCommerce business? Contact us here or give us a call at (513) 469-3345.